Optical switching automates well measurements and enables fiber sharing among many instruments. 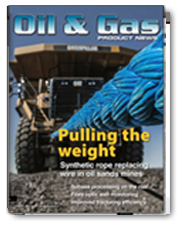 Polatis All-Optical Switches offer instrument grade optical performance and repeatability required for sensitive optical measurements. 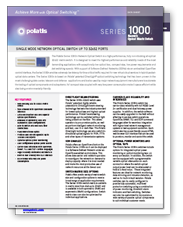 Low-loss is critical to optical reflection-based fiber measurements and Polatis leads the industry with optical loss <1dB. 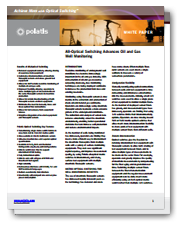 Polatis switches enable remote configuration of offshore and remote well sites whilst reducing cost by automating complex repetitive optical measurements.